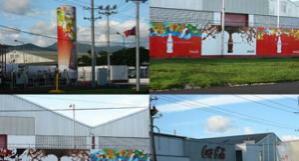 CCHBC is the world’s second largest bottler of Coca-Cola. Due to its fast growth in Central and East Europe, it became necessary to derive synergies from the various operations of the company through re-organisation, skill enhancement and the integration of IT services. The starting point was for this process was selected to be the IT/IS services. The project involved the implementation of the IT/IS mission with corporate values and mission, the analysis of current IT/IS skill set and the enhancement of project management skills of the IT/IS executives. In conjunction with this activity CCHBC tasked BMC with the development of its high potential leaders with regard to project management.